Tim Beermann, a blogger working for CH2MHill at the US Air Force Academy in Colorado Springs writes about how he’s using Google Earth to as a viewer during emergencies. He’s taken an existing application and enabled it to send information to Google Earth clients. My first test on the system used CH2M HILL’s iCIT emergency management application. As iCIT managed the application, the GE extension would publish the data for viewing in a command center in GE. The KML files were securely sent to the GE client machine using a secure Instant Messenger type of technology. Once the files were update on the client machine, a web service was used to reload the altered file in Google Earth. The results are impressive and I can imagine very useful to the Academy. 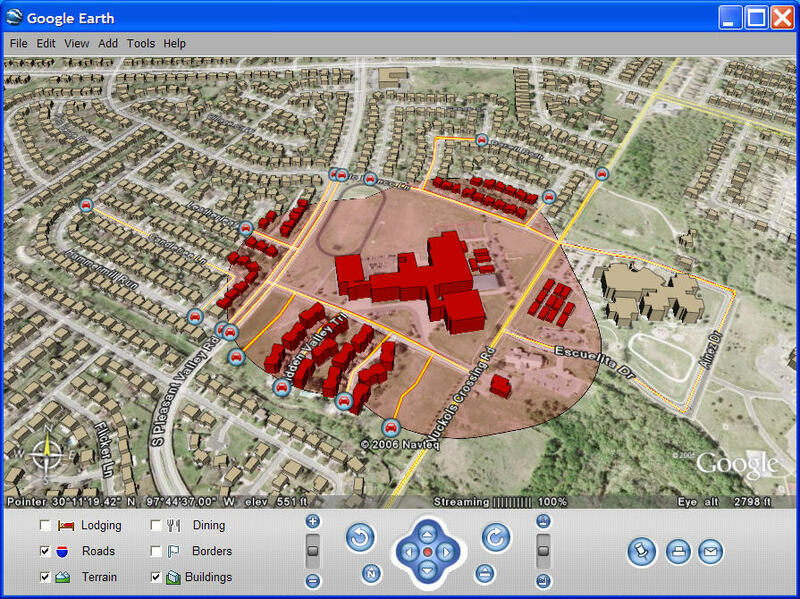 It is so easy to visualize in tools like Google Earth and using ArcGIS on the backend just enables Google Earth to be so much more valuable.